AT ONE POINT IN MY CHILDHOOD, I wanted to be a dolphin. With the recent popularity of places such as SeaWorld, I had constantly seen them blasted around TV, and I thought they were majestic. Little did I know, however, that these places which looked so magical to me in my childhood, were the source of so much destruction to dolphins. Ric O’Barry, perhaps the world’s most well known dolphin trainer is behind many of the reasons why sea aquariums and dolphin shows are so popular today. For ten years of his life he built the industry up, capturing and training dolphins from the wild, performing in the TV show ‘Flipper’ and promoting the business. He loved what he did and the world loved him. Then Kathy, his beloved dolphin friend committed suicide in his arms. This experience changed the course of Ric O’Barry’s life and he realized the ignorant spell he had been under. He was helping to torture the animals he loved most and was not going to put up with it any longer. 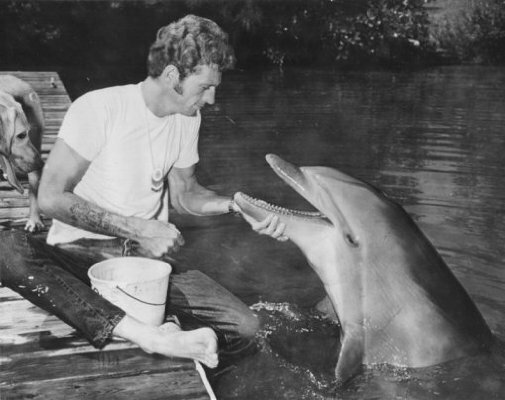 Here he sought to undo the industry he fought so hard to build up, founding The Dolphin Project in 1970. He travelled the world, committed to helping dolphins in need, when he finally came across Taiji in Japan. Every year 2,000 dolphins are killed or captured here, the mercury laden meat shipped off to other parts of the world, or to be distributed amongst Japanese school children’s lunches. The dolphins that are still living get carted all around the world, for upwards of $150,000. Their destination? Theme parks. Surprisingly, it is the government distributing this meat to the children of Japan, despite their disastrous past with Minamata disease which came about after pregnant woman in the town of Minamata, Japan, consumed seafood with excessively high mercury levels. The rest of the dolphin meat is being taken to the world, often disguised as much healthier and more expensive whale meat. In reality consumers are being adversely affected, all because Japan and the dolphin slaughtering industry is making so much money off it. In this way it is so hard to reverse the process of capturing and training dolphins or slaughtering them for sale because the profits of this lucrative business are huge. Ric has been fighting for years to raise awareness, but the reality is that so many people are being purposefully ignorant. Like I used to, they don’t think about the reasons behind why dolphins, majestic, wild sea creatures, are performing for them in a man made theme park. They don’t think about the stress these dolphins are under because of the pressure to perform or the new environment that they’re in or because of the crowds screaming at them. They watch and enjoy. The theme parks know this and so, even when a dolphin is procuring mouth ulcers and other sicknesses stemming directly from stress, they don’t give them a break, they simply give them Maalox. 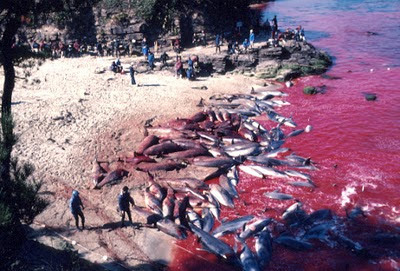 Japan is making mammoth amounts of profit from exporting their ‘blood dolphins’, some of which they use to buy votes off other countries. The IWC (International Whaling Commission) has many countries which quite surprisingly support Japan in their unrelenting whaling and slaughter of dolphins. These small countries, such as Guinea, Grenada and the Marshall Islands openly admitted to Japan financially aiding them in return for their supportive votes. Despite the efforts being taken by Ric and many other activists around the world, many others find it hard to take as much of a stand. Lately, especially because of ESS classes and provoking talks in numerous others, I know that I’ve been overwhelmed by the amount of issues that I’ve wanted to tackle head on. The reality is that I can’t help all causes and in the melee of everyday life, these issues that I was so passionate about on first hearing, have faded into the background. In my own small ways I try to take a stand, only buying products that I for the most part support and not burying my head in the sand, probably putting me in the category of inactivism- supporting a cause, but not really doing anything to help it. In the final scenes of The Cove we see how much of an impact one person with a passion can have on the world and how we as individuals can help this impact grow. No matter how hard governments and other officials try, if they do not have the passion and the drive to help a cause, nothing will be changed. As seen with the likes of Kony 2012, Martin Luther King, Hitler and Ric O’ Barry- no matter the cause, it only takes one person to change the course of history.